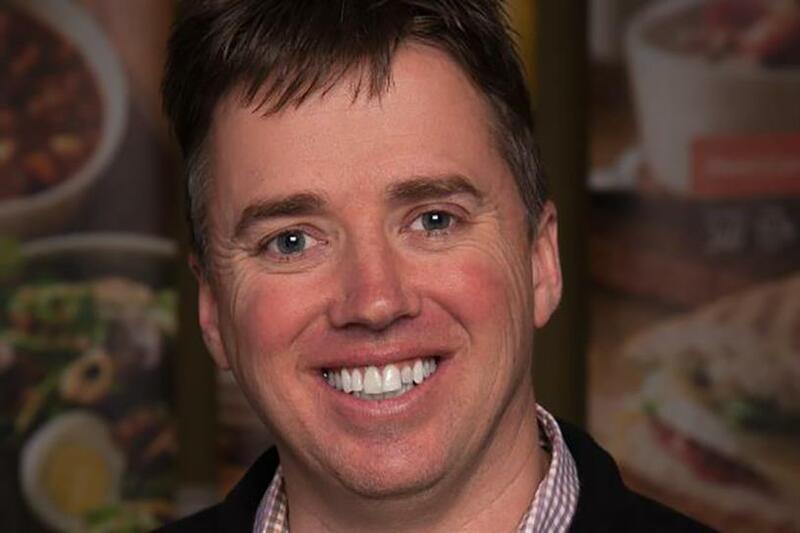 The top marketing executive at Panera Bread talks the company's decision to eliminate artificial ingredients, how influencers keep it in check, and why the brand had success with loaf-shaped slippers. What is your main focus as CMO? Amplifying the good deeds we do and trying to do right by our children and families. We have been on a two-decade-long journey looking to have a positive impact on the food system. In 2003, we were the first national restaurant to remove antibiotics in chicken. In 2010, we were the first to post caloric content on menu boards. In 2014, we were the first to commit to removing artificial preservatives, sweeteners, colors and flavors. As of January 2017, all of our food is completely clean. Along the way, a lot of other restaurants have followed suit. We feel happiest when we see others in the industry do that and attempt to do what we are doing because then you get scale and influence. It is the difference between marketing and making a difference. We want to do the latter. Panera Bread launched a series of 100 percent clean, non-carbonated craft beverages made with no artificial sweeteners, preservatives, flavors, or colors. What is the marketing strategy? We are still offering soda, just giving people more options. We are going to be the first national restaurant company to label calories and added sugar for all these beverages at the point of pour. We built this platform on the idea of transparency and helping people make informed choices. To get the word out, our founder Ron Shaich talked to business press and national media. We also had an ad in the Washington Post that included a letter from Shaich urging the beverage and restaurant industries to join Panera in its effort to provide increased transparency. We are not expecting to spend significant budget. We believe earned media is going to drive word of mouth. Panera has talked to more than 40 registered dietitians and influencers in the wellness space and organizations such as the American Heart Association to make sure it is doing this the right way. We are letting our influencer network, bloggers, and third-party advocates talk on our behalf. We started developing our influencer network about two years ago. They keep us in check. This is a dialogue. They help us form and shape where we are going. We use them to figure out if a direction is interesting. We wouldn’t have done the clean initiative if we hadn’t talked to them to figure out what is the right way to do it and what commitments we should make. In February, as part of an effort to get word out that we now deliver, we had slippers shaped like bread loaves sent out to 100 of our super fans who have high-reach audiences. We said, "Wear these while you wait for your delivery." We got more than 600,000 organic impressions from it. You worked at Pepsi for 11 years. Now that you are taking on big soda, how does your previous experience come into play? I wouldn’t say we are "taking on big soda." I worked with outstanding people at Pepsi. This is a story about us offering options and information. If people still want Pepsi, it is there. When I worked there, it was looking to be a total beverage company, and still is. And the brand is a good partner. These non-carbonated beverages are proprietary, but we are talking to Pepsi about other things we can do together. Would you say Panera’s marketing strategy is becoming more provocative? We aren’t getting enough credit for some of our actions. We’re trying to amplify what we are doing. We have been doing really good things and other people are joining. We want to break through the clutter and make people realize not only what we are doing, but also what we are doing in relation to others, so people can understand the differences. When we say we are 100 percent clean, it is one of those words people are using in a lot of different ways. There is a difference between an item being rid of one artificial preservative and what we think is a much higher bar, which is what we did having zero artificial preservatives, sweeteners, colors and flavors. We need to be more breakthrough, provocative and memorable in our marketing efforts to make sure people understand these differences. Chipotle CEO Steve Ells accused Panera of misleading customers with claims of "clean" food. How are you responding? Ron [Shaich] addressed Ells’ comments as part of his talk about our latest launch. Chipotle also said it is following our lead in driving this clean initiative. We couldn’t be happier. We want restaurants such as Chipotle to follow our lead. What agencies does Panera work with? Sloane & Co. for business PR, Weber Shandwick for consumer PR and Anomaly is our creative agency. How many people handle marketing?